PennsylvAsia: CMU International Film Festival tickets now on sale. CMU International Film Festival tickets now on sale. A couple days ago tickets for the Carnegie Mellon University International Film Festival: Faces of Media went on sale. It runs from March 21 through April 13, and this year there are 16 films plus a short film competition. Relevant to this site is Crocodile on the Yangtze and Sushi: A Global Catch. 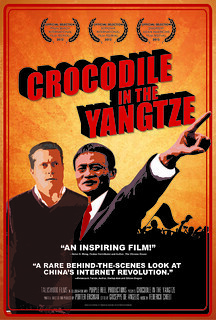 Crocodile in the Yangtze follows China’s first Internet entrepreneur and former English teacher, Jack Ma, as he battles US giant eBay on the way to building China's first global Internet company, Alibaba Group. An independent memoir written, directed and produced by an American who worked in Ma’s comany for eight years, Crocodile in the Yangtze captures the emotional ups and downs of life in a Chinese Internet startup at a time when the Internet brought China face-to-face with the West. Earlier in the year the festival had planned to incorporate various Japanese cultural events around Sushi: A Global Catch and intended to show it on April 10. However there have been no updates to this, no further details, and no indication yet whether this will take place. Stay tuned. Crocodile on the Yangtze is scheduled for March 22, 7:00 pm, at the McConomy Auditorium, CMU University Center (campus map). The director will attend, says the website. 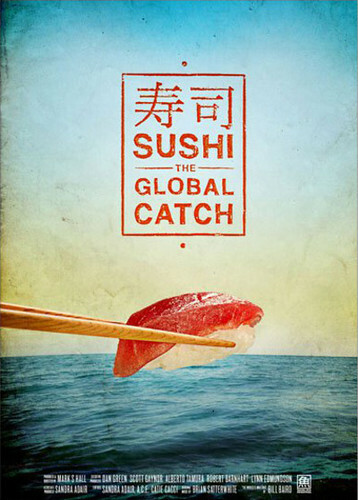 Sushi: A Global Catch is now scheduled for March 24, 5:30 pm, at the same place. Tickets for each of these are $8 for regular admission or $5 for seniors and students. A season pass is $50 or $25 for the same categories.